Shirley Littles Byrd was born on September 24, 1934 in Darlington County. She was the loving daughter of the late John Wesley and Merchantile Littles and the wife of the late Harold “Mutt” Byrd. She received her education in the public schools in the area and was employed with Byerly Hospital for 40 years until retirement. 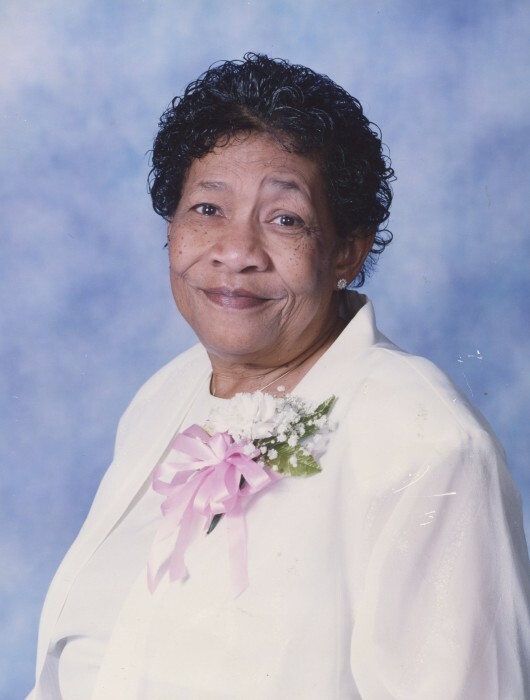 Shirley was a member of St. John United Methodist Church in the OatesCommunity and enjoyed worshipping along with her family and extended church family. She was actively involved with the Hartsville Recreation Center. Those left to cherish her loving memories are her children, Delores B Nickelson, Doris (Jimmy, Sr.) Peebles, Harold Byrd, Jr., Diane (James) Phillips, Anthony Q. (Shondell Wright) Byrd, Sandra D. (Milton Brockington) Byrd and Tina L. Byrd; Two sisters, Eloise Jackson and Dora (Donald) Smith; One brother, Marvin Kelly; Sister-in-laws, Mamie Kelly, Ruth Nickelson, Janie Mae(James) Woodham and Jannie Lee Littles; Seventeen grandchildren a host of great grandchildren and great great grandchildren, nieces, nephews and other close relatives and friends. Shirley was preceded in death by her parents, John Wesley and Merchantile Littles, her husband, Harold “Mutt” Byrd, Sr. and two children, Hazel Gibson and Dexter K. Byrd.